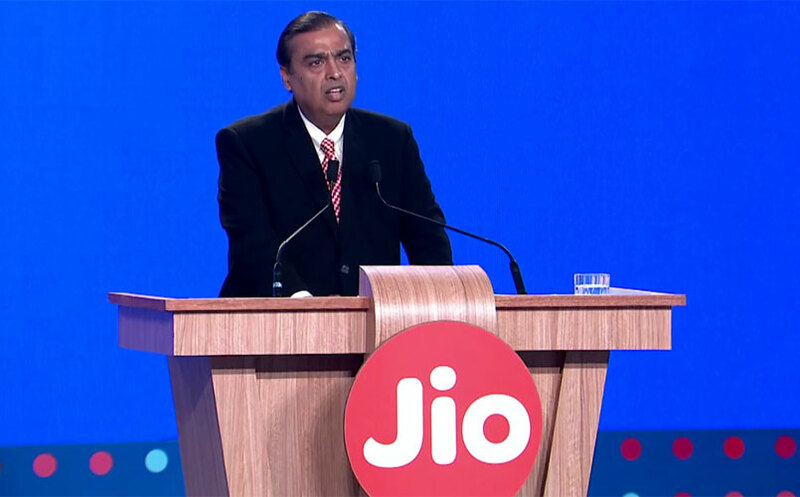 After disrupting Telecom industry and smartphone market, Reliance Jio is now eyeing to foray into the laptop market. Yes, you read it right-Jio is reportedly preparing to launch a 13.3-inch screen laptop in the Indian market. It has reportedly collaborated with Foxconn to manufacture the device. The Jio laptop will come bundled with a Jio 4G SIM card using which you can connect to the internet as well as make VoLTE calls. The slot for the SIM card is supposedly placed on the left side of the laptop. As aforementioned, it comes with a 13.3-inch Full HD screen with aspect ratio of 16:9. It may run on either Windows or Chrome OS, most likely on the latter as it should support Android-based Jio apps. Weighing at 1.2KG and measuring 12.2mm thickness, it comes with a keyboard without a separate number pad. On the storage front, it packs 4GB RAM and 64GB eMMC storage. It will come equipped with a new generation Intel quad-core processor. The connectivity options on the laptop include Bluetooth, USB 3.0 ports, HDMI port, microSD card, and SIM card slot. As of now, no details about the pricing or any official announcement has been made by the company. Therefore, you need to take the report with a pinch of salt before getting disregarding your current options. We will keep you updated if we get to know any developments about the device. In other news, Jio introduced Summer Surprise offer under which a Jio Prime member gets voice and date services for free till June if RC 303 is done before 15th April 2017. You can find the detailed description of the plans here.